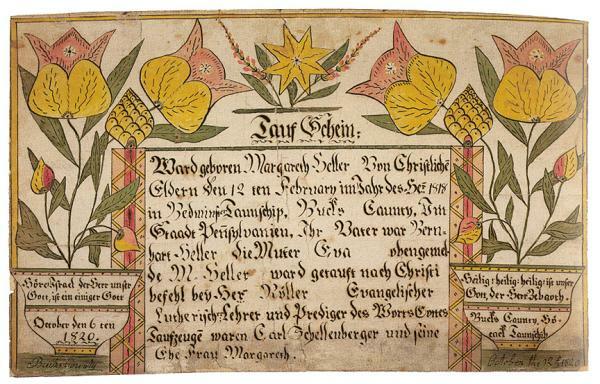 The most popular type of American fraktur was the "taufschein," or birth and baptismal certificate. They were intended as a decorative memento rather than legal record of the events, and were meant to be displayed in the home. 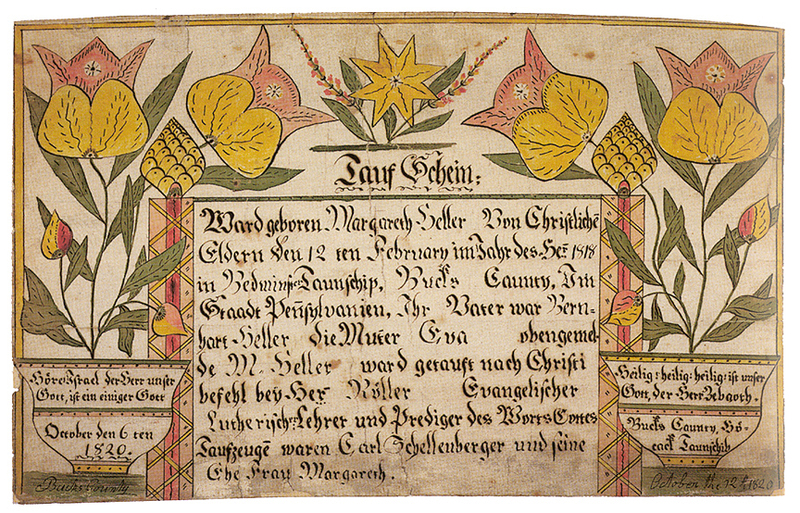 This taufschein was created for a girl named Margaret Heller, born in 1818 in Bucks County, Pennsylvania.